Every day, hundreds of jets soar to the sky. Some of us are used to searching for cheap promo tickets, while others can’t imagine themselves anywhere but business class. Still others prefer private flying. Technology is changing absolutely every sphere of our lives, and even luxurious private flights are no exception. Have you heard of Uber for flights yet? If you haven’t, then no problem. 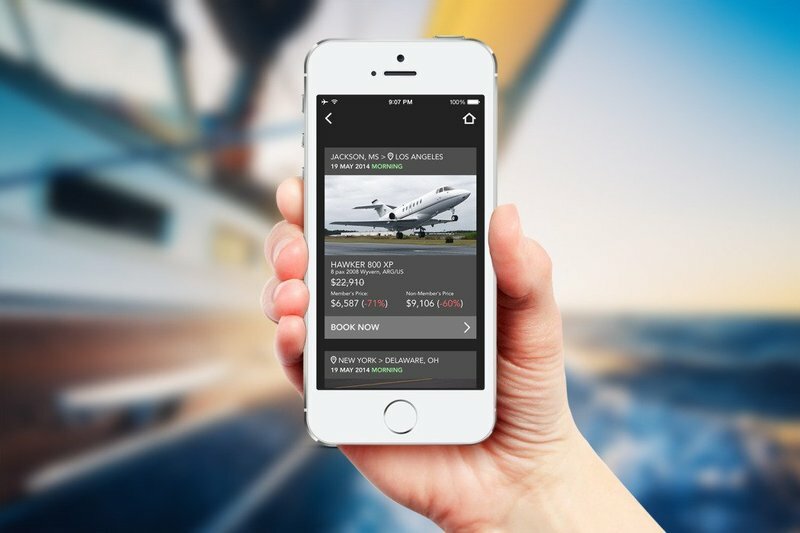 In this article, we’ll talk about Uber-like apps for booking private jets. Uber for private jets is growing by leaps and bounds. There are more and more companies providing services for instant bookings of private flights. But the private jet industry is still far from being technologically advanced. Before we discuss how modern technology is changing the way some of us book private jets, let’s first look at how this age-old industry works. How does the traditional private jet industry work? Quite a few options, right? But there are a few drawbacks to these traditional ways of booking a private flight, and they’re not optimized for how we prefer to operate in the modern age. 1. If you book through a broker, it takes days to book a flight. 2. If you decide to buy a share in an aircraft, then you’ll be allowed to use it for a specified number of hours. Also, fractional ownership of an aircraft costs a small fortune, and not many people would use a private jet charter more than a few times a year (unless you’re a politician or a president). 3. With a pre-paid membership card, you have to pay anywhere from $150,000 and up and then spend this credit within a specified timeframe – or else it expires. Has anybody tried to solve these problems? The first service that provided an opportunity for online booking of private flights was Skyjet. Back in 1997, they made it possible for their customers to save time on calls and explanations by letting them order a jet with a few clicks. In 1997, an online service like Skyjet was a real marvel. 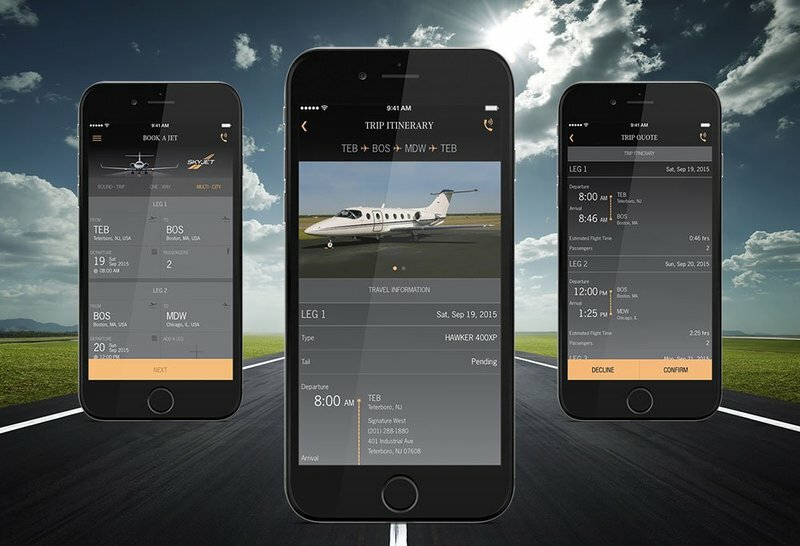 It eliminated the back-and-forth calls and faxes with invoices that traditional private jet airplane booking services were associated with while making private jets available to many more people. Skyjet was the first company to provide instant booking without membership cards or prepaid options. Today, there are a lot of online private jet booking services, including M2Jets and Independent Jets. But while they’ve greatly improved the jet booking experience, they still lack mobile apps that could make the experience even better. Times have changed and businesses have to adapt to meet the changing demands of clients. With mobile technology and the emergence of Uber-like services all around, it’s become possible for private jet services to expand their boundaries. The main goal of a user is to get from point A to point B via a private jet. What exact features do users need to achieve this goal? 1. Registration. A user doesn’t want to enter their personal information every time they book a flight. So you need to implement a registration feature to gather personal information, confirm email addresses, and confirm payment accounts (if necessary). 2. Geolocation. Once registered, a user starts searching for a convenient flight. It’ll be helpful to implement geolocation so users can easily find nearby planes. 3. Filters. After selecting a route, a user wants to choose the most suitable flight. Filters help make this process quicker and easier. Available jets can be filtered by size, number of seats, price per hour, etc. 4. Fare calculation. When a user has entered all the flight details, they want to get a price instantly. So you need to implement an algorithm to calculate the cost of a particular flight based on entered data. 5. Payment integration. Finally, a user needs to pay for their booking. That’s why you need to integrate with a payment gateway to make the payment process more convenient. Read also: Building an App Like Uber: What Is the Uber App Made From? Different services have different monetization strategies. Let’s look at how major actors on the private jet market make money. 1. 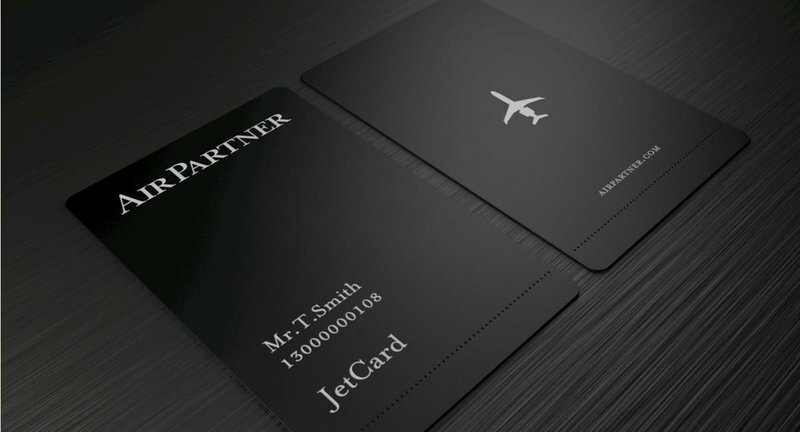 Membership cards (Magellan Jets, JetSmarter). A membership card is a prepaid option. This means that you have to pay for a monthly or annual subscription. For example, Magellan Jets costs $108,750 or more for a 25-hour card that’s valid for one year. 2. Pay-as-you-fly (Prive Jets, Victor). With Pay-as-you-fly, you get a quote for each flight you book and pay for it directly. You don’t have to be a member to book a flight. Chartered aircrafts are priced by the hour regardless of the number of people on board. According to Greg Richman, president of Skyjet, light jets start at $2,800 per hour; mid-size jets start at $3,800 per hour; So-called super mid-size jets start at $4,500 per hour; and large-cabin jets start at $6,500 per hour (as of 2015). The majority of these services don’t own their own aircraft. Instead, they connect jet owners with customers. The dominant monetization model for Uber-like private jet services is, therefore, charging transaction fees. For example, Victor takes up to a 10 percent fee for all flights and empty legs (an empty leg is a homeward flight). If you fly private jets, you pay only for hours you actually use. Therefore, it’s profitable for companies to sell empty legs because otherwise a jet will make a flight with no paying customers on board, and the company will lose money. Some services including Victor and Talon Air provide up to a 75 percent discount for empty leg flights. Once you’ve decided on your monetization model, it’s time to think about how to attract users to your application. To attract users to your app, you need an excellent promotion strategy. In the middle of the 2000’s, private jet services started to promote their businesses with sponsorships. They sponsored events where their target audience hangs out – fundraising galas, charity dinners, horseraces and other sporting events (tennis, polo, golf). A few years ago Sentient Jet, for example, signed a partnership with charitable organization MPTF (Motion Picture & Television Fund). Another service – Bombardier – sponsored the Houston Polo Club’s Silver Cup match and has a presence at some polo events. The NTRA (National Thoroughbred Racing Association) and NetJets created get-togethers around auctions, races and other events that allowed NetJets personnel additional opportunities to mingle with horse owners and track representatives. And there are tons of similar examples. The main idea was to meet people (i.e. potential customers) handshake by handshake. Ten years ago, it was common practice to create events to build ties with potential customers. But as time goes by, approaches to promotion are changing. There are a lot of advertisements that say something along the lines of “Do you always fly business class? It’s time to upgrade to private jets. It’s not that scary and expensive!” This is a great approach to expanding the target audience and attract underserved customer segments. Modern consumers are attracted to technology. In the crazy rhythm of life, customers want simplicity and transparency. But, unfortunately, this industry still isn’t great at either simplicity or transparency. How might we change the situation for the better? How can you bring innovations into the private jet sphere? We’ve identified three areas for innovation in the private jet industry. Algorithms for pricing. The majority of services have just begun to move away from quotes and estimates in the direction of a more automated method for pricing. 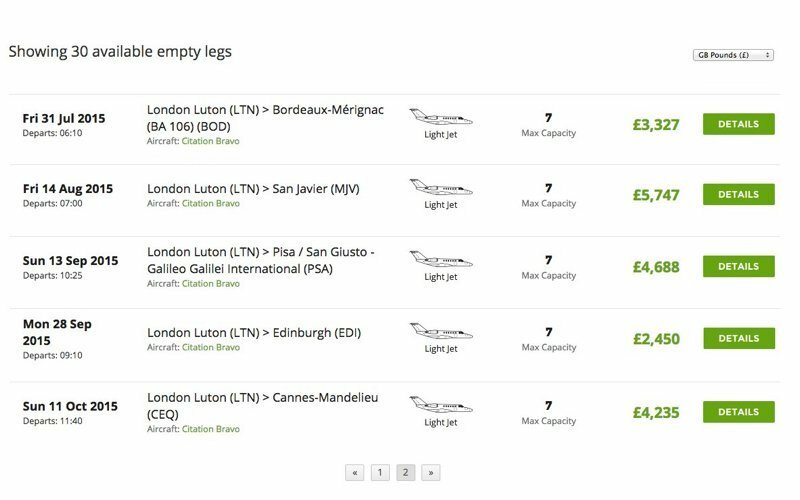 Algorithms are what will help to show the price of a flight quickly. 360-degree views. To help customers see what they’re paying for, we can implement 360-degree videos of available jets. We implemented this same feature in our project Autoportal – a marketplace for car buyers. 2. Mobile applications. We all know how convenient is to access services at the touch of a finger. 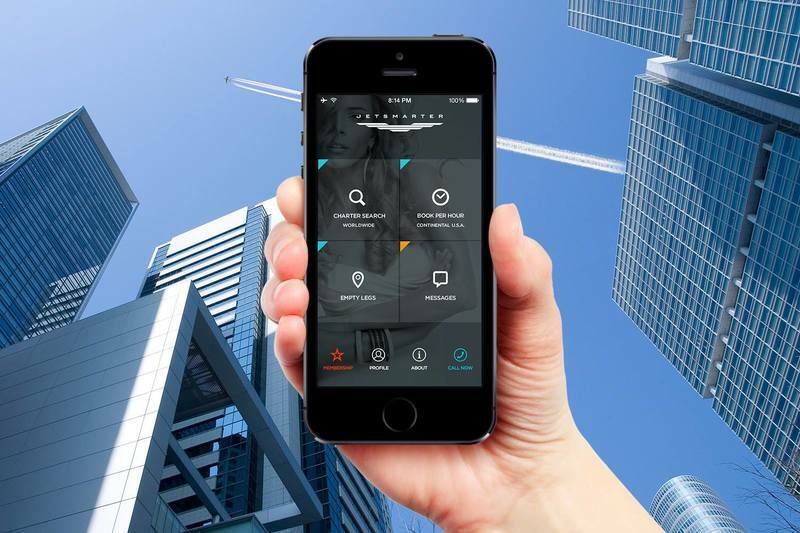 If you have only a web-based application it’s high time to think about creating a mobile one. 3. A chatbot. You can create a chatbot for your service as a cheaper alternative to a mobile app. Chatbots automate such processes as gathering a client’s requirements and searching for available jets. In general, the private jet industry is stepping up its game, and many owners have realized that they need to keep pace with the times and technologies despite their limited target audience. If the number of high-quality services appearing in the private flights industry is anything to go by, industry veterans should either move forward or else they’ll be disrupted by newcomers.